Thank you Florida Dairy Farmers for sponsoring this decorated cow cake recipe post. As usual, all opinions are 100% mine. I love sharing with you brands/products I use and enjoy in my kitchen. 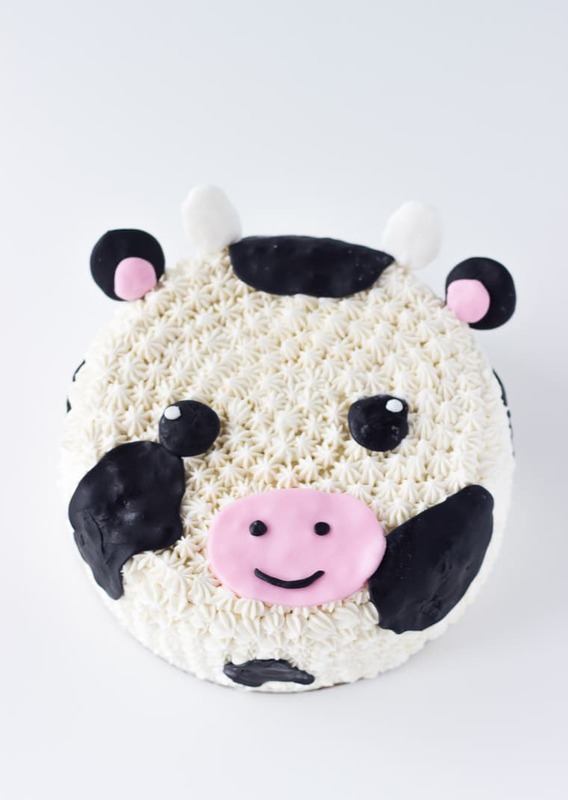 I have a fun cake for you guys today, or I should say, a super cute cake, because this cow cake is knocking off my socks!! This cow cake was inspired by Florida Milk, the dairy association supporting local farmers in Florida. I’ve had the pleasure of working with them the past few months, creating recipes and helping to promote the great benefits of diary in our diets. For our final recipe in the series (see the others here, here and here), I wanted to make a fun and exciting cake that represents their love for everything dairy and cows. This cow cake is exactly that! It’s simple, playful and will be perfect for any themed birthday party. The cake itself is extremely simple to make. I drew inspiration from one I saw on Pinterest. A quick ‘cow cake’ search there brought up a lot of options, but this one from Coco Cake Land stood out so I went along with that idea. 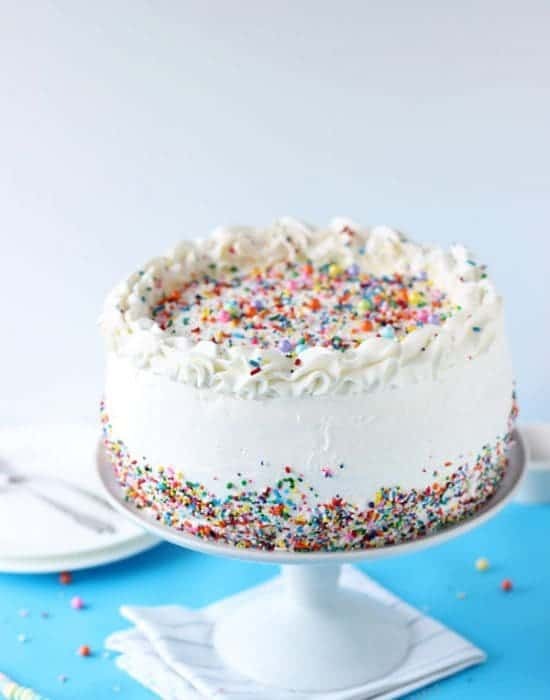 Using my favorite vanilla cake recipe, I baked and frosted a three layered cake with whipped vanilla buttercream using a Wilton open star tip. Once frosted and chilled, it’s all about playing with fondant to get all the body parts. The black spots, mouth, horns and mouth are all made with fondant. Here’s what my setup that night looked like. Make sure you read the recipe below in full before starting, to ensure you have all you need. Also, for a more detailed instructions and step-by-step pics, check out this post. I winged it from a picture on Pinterest but I know not everyone can. 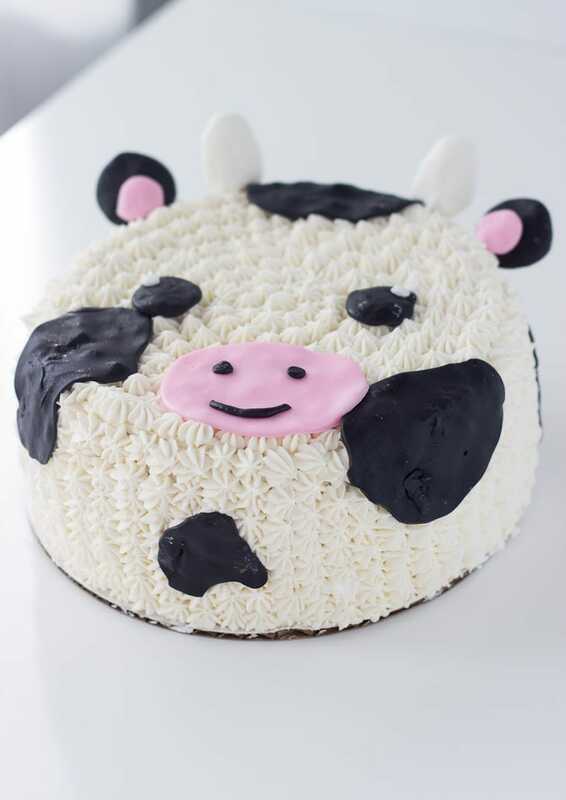 The cow cake is a super fun cake to make for a loved one. Here’s the recipe!! 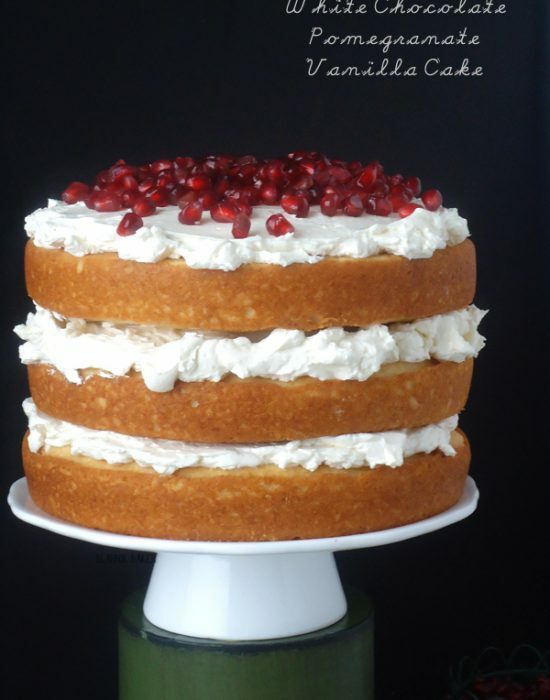 To assemble the cake, place a layer of cake onto a cake board or serving place. Spread about ½ cup of your frosting on the cake. Top with the second layer of cake and spread about ¼ cup frosting on the top. Using a thin layer, crumb coat the sides of the cake. Using a small open star tip (I used Wilton tip 21), pipe the frosting all around and the top of the cake. Chill cake for at least 30 minutes. Roll out the pink fondant and cut out a circle. Tease the circle gently to form an oval. 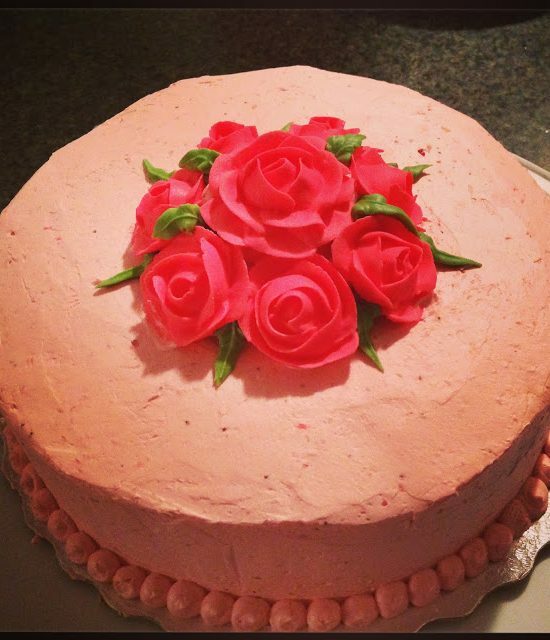 Adhere the pink oval to the cake as the mouth. 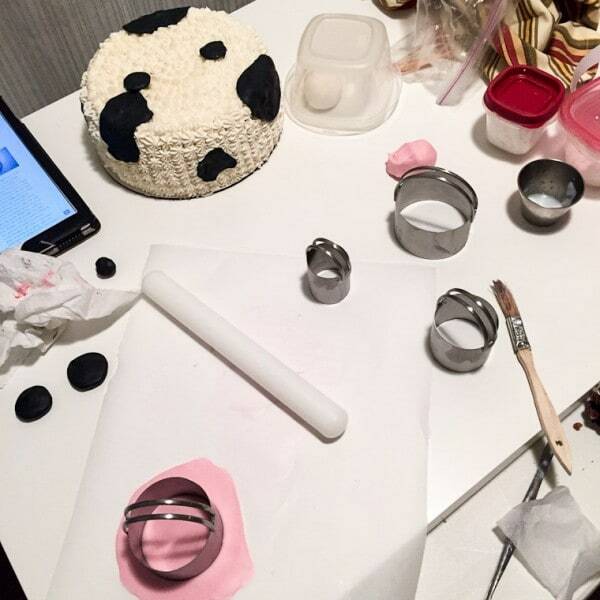 Using two small dots of black fondant, add the nostrils to the pink fondant and use a small roll of black fondant for the mouth. Similarly, use the black fondant and cut out balls that you will need for the eyes and ears. Make the eyes into flat circles and adhere with water. Add irises with white fondant dots. For the ears, use a toothpick or skewer to attach to the top of the cake. Add flatten pink balls to the ears. Similarly, use the white fondant to shape the horns and adhere with toothpick or wooden skewers. 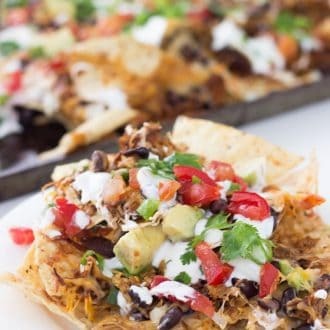 For more dairy recipe ideas, be sure to follow Florida Dairy Farmers on Facebook,Twitter and Pinterest. Some affiliate links included. Great job! This turned out absolutely adorable! Seriously the cutest cake ever. Aww, I love it! I bet the sweetie was delish too. You did a great job on the minion cane too. It was a great cake!! Thanks Ashley! I’ve loved working with them very much. Oh my this cake is so cute! I love it. Maybe for Olivia’s first birthday!?! YES!!! She’s getting close to one. Omg, how cute is that!! This is so sweet, Zainab! I hope your little bundle of joy becomes cow obsessed so you can make this again for his birthday. It’s amazing. And what a great partnership with Florida milk! Lol me too! We have a safari-themed room for him so hopefully he loves animals later. I can’t even with this. This Cake. It is MOOVELOUS. I had to. But really, how cute and fun is this! Totally pinning! 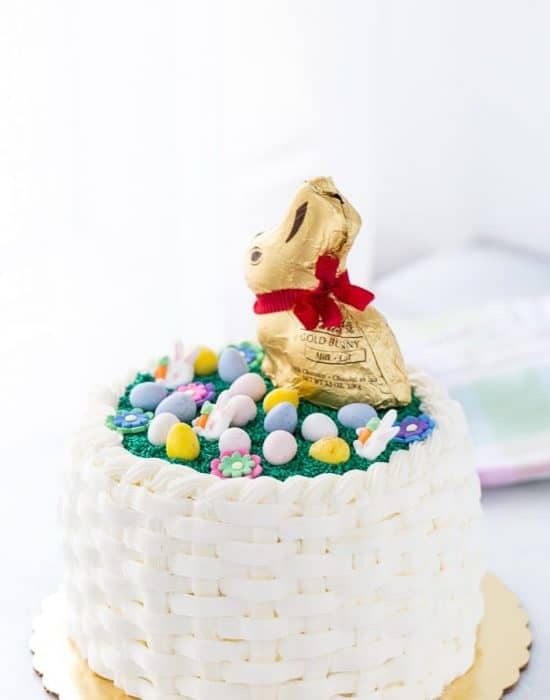 This cake is too cute for words! How fun is this cake? My little dudes would absolutely love it. I love that you stepped out of your comfort zone and came up with this, awesome job! This cow looks super cute. I have a cousin that would looove this one, he’s 5 and lives on a farm. Oh you should share this! Oh my goodness that is just painfully cute. The nose is a smiley face!! 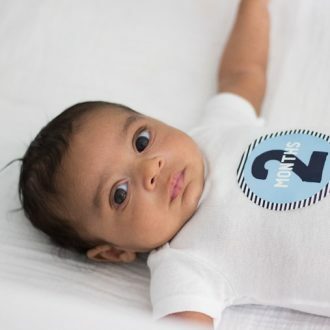 I better make sure my sister in law doesn’t see this or she will expect me to make this for my nephew’s next birthday. Your cake decorating skills always impress me. Hhaha I am sending it her way so you have to make it for him lol! You can for sure! This is the most adorable cake on the planet, Z! It’s almost too cute to eat! I might have been a little creepy and stared at the first photo for about 3 minutes, just smiling. 😉 This cake definitely gives me the warm and fuzzies! Pinned! cheers, my dear! Thank you dear! !I stared at the for a while too! Zainab this is like the cutest cake ever!!! So amazing! Pinned! Too cute!! You should step out of your comfort zone more often!! Pinned!! 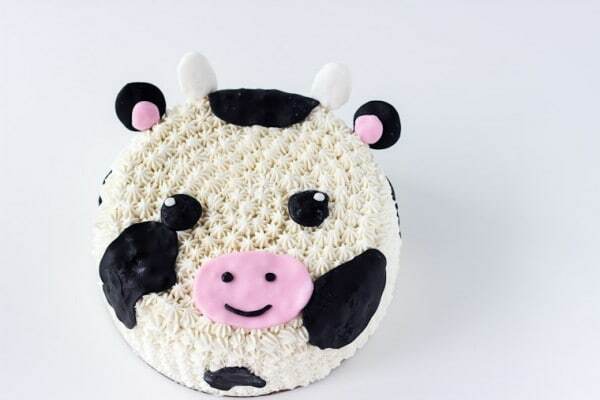 This cow cake is so so cute. This is the cutest cake, EVER! I love it! Well done, Z. Your cake decorating skills are on point! Whoa girl! You knocked off my socks too! 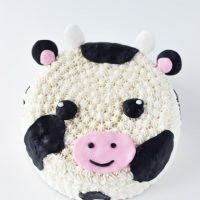 I LOVE this cow cake! I think it has to be the cutest cake I’ve ever seen in my life! Oh my goodness this is just the cutest! I haven’t worked much with fondant, but it looks like so much fun! I loved your minion cake and I love this one too! Elliot is going to have the best birthday cakes growing up. Oh my goodness what a cute Cake! I love this! Hahha Thanks Nora! It was not bad at all. Zainab, you totally nailed this cake. It is super cute and brings a big smile! Love how simple it is to make, and yet the result is outstanding.